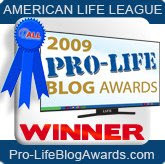 JivinJehoshaphat: Are prolife laws the problem? In a RHRealityCheck article Tara Murtha attempts to use the case of a Pennsylvania mother who endangered her teenage daughter’s life by giving her abortion pills which were purchased online to argue that prolife laws are the problem. While the Gosnell grand jury report indicated that the rogue provider was able to operate undetected as a result of lawmakers treating abortion as a political issue rather than a public health one, the response of the state legislature was to further politicize abortion. What? No. Murtha intentionally equivocates between how pro-choice individuals in the administrations (Departments of Health and State) of pro-choice governors Tom Ridge and Ed Rendell didn’t enforce rules and how prolife legislators passed laws to further regulate abortion clinics to make sure something like Gosnell doesn’t happen again. For Murtha to act like the Grand Jury report would somehow be against these new regulations (the Grand Jury report specifically calls for abortion clinics to be treated like ambulatory surgical facilities) is intentionally deceptive. The Whalen case reveals we’re at a tipping point in Pennsylvania: The politicization of abortion ultimately means the criminalization of pregnancy. Unable to defend a mother who endangered her daughter’s life by buying abortion pills online, Murtha claims pregnancy (!) is going to somehow be criminalized as opposed to illegally giving abortion pills to your daughter. Yes, prolife laws which regulate abortion clinics are going to be used to round up all pregnant women. That's makes sense in bizzaro land. Study after study shows that restricting access to safe, legal abortions by outlawing the procedure or, as is the preferred method in the United States, implementing geographic, logistical and financial barriers, doesn’t result in fewer unplanned pregnancies or abortions. Murtha’s “study after study” actual links to one Huffington Post article and one Guttmacher Institute web page where "the studies" in question are really pro-choice researchers guessing how many abortions are performed in countries where abortion is illegal. Unfortunately for Murtha, that has nothing to do with how prolife laws in the U.S. which restrict abortion affect unplanned pregnancies and abortions in the U.S. I wonder why Murtha didn't provide a study showing that prolife laws in the U.S. don’t result in fewer abortions since that’s the issue she’s talking about? Neither strategy reduces the need for safe abortion. They both result in women seeking abortion through other, unregulated and often unsafe means. That is one of the main reasons pre-Roe pro-choice advocates argued for regulations. I wonder why she doesn’t provide any evidence for these assertions either. In Michigan, abortions are down by more than 50% in the last 25 years in part because of prolife legislation yet Murtha would have us believe that somehow these ten of thousands of women in Michigan are seeking illegal abortions and yet the hospitals aren’t filled with women suffering from complications for these illegal procedures. Please. Abortion advocates like Murtha can't have it both ways. If prolife laws don't do anything to reduce abortion and only lead women into taking dangerous means to end pregnancies then why aren't our hospitals filled with women who've been injured by these dangerous methods? Either prolife laws reduce abortion and illegal abortions are quite rare or prolife laws lead to lots of illegal abortions which are quite safe.